Moses is a cantankerous old man who has lived his whole life on the island of Sweetland, off the coast of Newfoundland. He and his neighbours are about to be forced off the island by the government, which no longer wants to pay the upkeep for this remote community. Guess who refuses to leave? An independent seventy year old with no use for rules or government, Moses enrages his fellow islanders by refusing to take the compensation package. The problem is that if even one islander refuses to leave, no one gets the money. Needless to say, Moses has made enemies. Anonymous threats, visits from government officials, pleading and wheedling have no effect. The stubborn old man just won’t budge. What would you do if you were told you had to leave your ancestral home? Where would you go? In Crummey’s tale of Newfoundland, we sense his love for this place. His dialogue is peppered with local expressions along with some very colourful swearing. The descriptions of fishing on rough seas in small boats are so vivid that you can feel the salt spray on your cheeks. Though the islanders may lack education, they have a strong sense of local culture and identity. Crummey’s prose is sophisticated and eloquent, giving a clear and resounding voice to all Newfoundlanders who resent the changes imposed on them by the decline of the fisheries and the reduction of services to outlying areas. It is also a testament to the indomitable spirit of a people who have resisted winter gales and economic hardship for countless generations. The unique culture of this easternmost Canadian province comes to life in this ode to a home that so many people have been forced to leave behind. 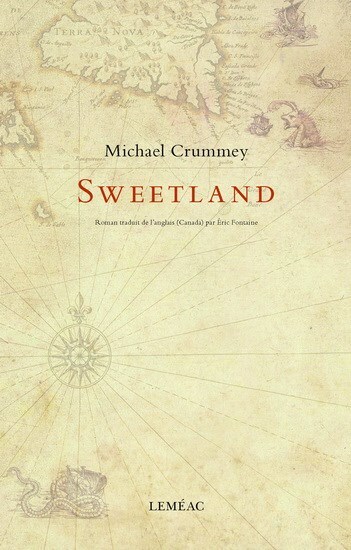 Crummey leaves the reader in awe of the sheer stubbornness of his hero, Moses Sweetland, whose ancestors originally settled the island, and we are left to wonder how long we would stand our ground if pressured from all sides to capitulate.